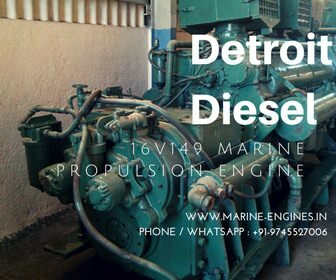 We currently have in stock Detroit Diesel 16V149 natural aspirated 2 units and other 2 units with turbochargers. All these 4 units are with gearbox and in excellent working condition. Also in stock available is 2 units which are not in working condition and we can supply these engines in as it is where it is condition, these 2 units require to be overhauled only and can be back in running condition. All six units are with gearboxes and were removed from Tugboats. 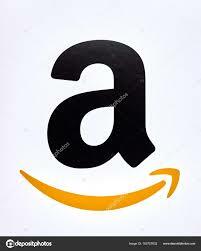 Interested buyers, do contact us for pictures and price along with delivery terms to the destination port. Buyers are free to inspect or appoint third party inspection agency at their own cost. 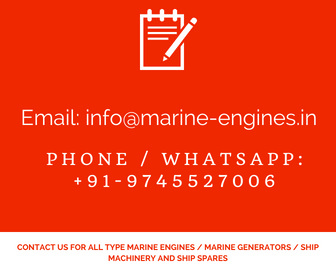 Send us your interest by mail or WhatsApp to our provided contact details below and we will submit you the details of the engines you are interested in. We also are interested in selling off all the six units in lump sum basis. The buyer also can make their best counter buying offer. Weight : 142000 lb (64410 kg) approx.